Our menus are planned to suit all tastes and are served both in the bar and the restaurant depending upon where you feel most comfortable. Open seven days a week for food. Lunch menu served Monday to Saturday 12-2pm. Dinner menu served Monday to Saturday 6:00-9:00pm. A traditional Sunday lunch is served between 12-2:30pm & 6:00-8:00pm every Sunday. Wherever possible ingredients are locally sourced giving a true taste of the bounty of Herefordshire and the Welsh borders. All food is freshly prepared and cooked to order, waiting times may vary dependent on your choices. Specific dietary requirements can be catered for, please call prior to your booking or ask for advice on arrival. 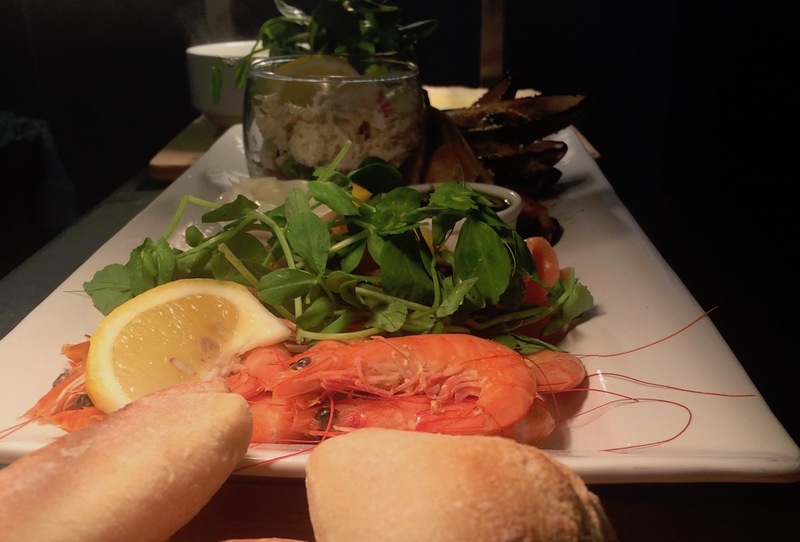 Smoked salmon, fried whitebait, glass of prawns, fried fish goujons, tartare sauce, lemon & dill mayo, rustic bread. Please also ask about our daily specials.